According to Mental Health America, 17-35% of college students engage in self-harm. Part of the reason we don’t know the exact numbers for sure is because of the intense stigma around the topic. Many people interpret self-harm as an way of “acting out” or “looking for attention." However, it’s important that we don’t stereotype-- pain does not discriminate and people of all ages and backgrounds can be at risk for self-harm. We’ve compiled a list of quotes that we hope will help you overcome pain and learn to love yourself. 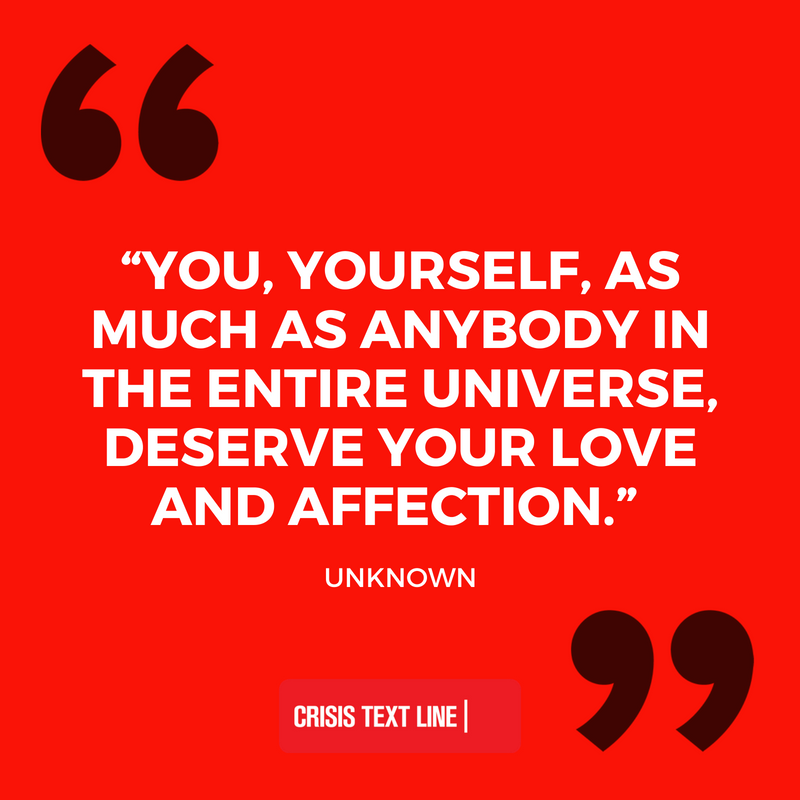 If you’re struggling with self-harm, text HOME to 741741 to talk with a trained Crisis Counselor. "The only person who can pull me down is myself, and I'm not going to let myself pull me down anymore." C. JoyBell C.